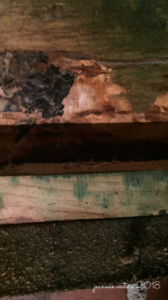 Ugly, black spider-like mold and wet floor joists dampened our enthusiasm. 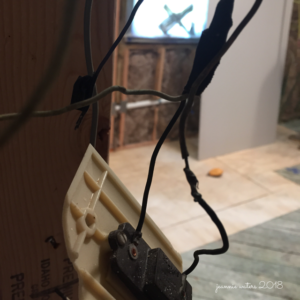 We had no idea destruction lurked behind the sheetrock until my husband removed the kitchen cabinets. Now, instead of creating the beautiful new decor we envisioned, progress halted as we assessed damage from an old pipe that had been secretly leaking. 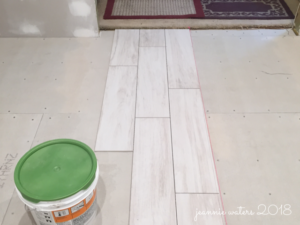 We budgeted for new countertops, paint, and cabinets but elected to keep our ceramic tile floor to save money. 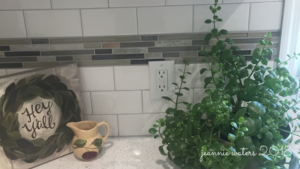 Did you know that removing floor joists under cabinets can trigger cracks in ceramic tile? Yep! One problem led to another. 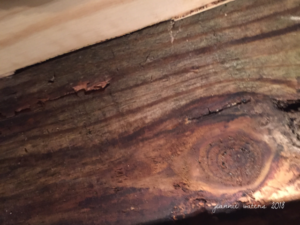 A hidden issue had damaged a vital part of our home one layer at a time. 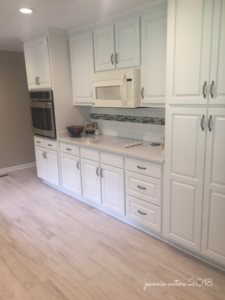 As a result, our renovation project took three extra months and more money for new flooring. Without a sink or dishwasher, we were grateful for a good insurance plan that allowed take-out dinners. 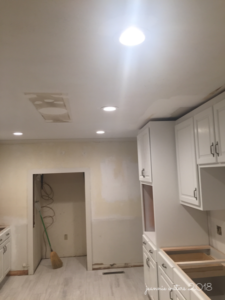 The restoration company removed damaged materials and ensured the area was dry and mold-free before reconstruction began. A small amount of moisture or mold spores left behind could have spread and jeopardized the integrity of the house. 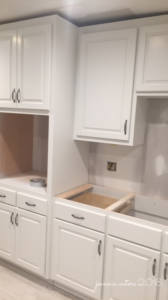 Home renovation projects are time-consuming and must include thorough cleansing of problem-causing culprits. Heart renovation is the same. Layers of worry, impatience, lack of self-control, jealousy, or other sins can lodge in our hearts like mold spores, then fester and spread into other areas. Unforgiveness can turn into bitterness, and pride can lead to self-centeredness. Sin left hidden can undermine our heart’s foundation. “Do not be conformed to this world, but be transformed by the renewal of your mind, that by testing you may discern what is the will of God, what is good and acceptable and perfect (ESV). 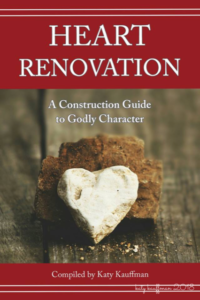 As I pray for God to transform my heart, I’m enjoying a recently-published Bible study entitled Heart Renovation: A Construction Guide to Godly Character. I am honored to have two articles in this compilation which focuses on cooperating with God as He builds godly character into us. Two of my favorite sections are “Repairing the Hidden Problems of Character” and “Constructing Character that Overcomes Life Issues. ” There are parts devoted to children, the fruit of the Spirit, and many other subjects. This publication is perfect for group Bible study and includes a leader guide, but it is also ideal for personal reading. Answering questions at the end of each entry challenges me to apply principles I’m learning. And now—to borrow a Paul Harvey term—”the rest of the kitchen story” . 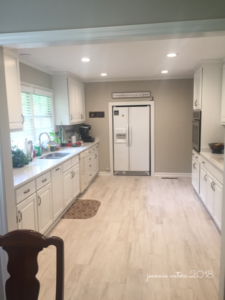 . .
After a parade of subcontractors, more financial commitment than we’d budgeted, and hundreds of paper plates, the sparkly “new” kitchen adds value to our home and makes food prep a joy. Once hidden issues were addressed, we built on a firm foundation. God fills my heart with peace and joy as I yield to Him, the heart Builder, and invest the time and study needed for Him to cleanse and renovate my heart for His purpose. The hope of becoming more Christlike encourages me. As God changes us, we are better equipped to share encouragement and hope with others. Please share below what helps you become more Christlike. Disclosure: As an Amazon Associate I earn from qualifying purchases. If you decide to purchase the book via my link, I’ll receive a small commission (at no additional cost to you) which will assist with blog costs. Click on the book cover link to read more about this amazing resource. The book is published by Lighthouse Bible Studies . *Extreme Makeover: Home Edition (television) was produced by ABC. The show was cancelled in 2012. A beautiful analogy of what hidden sin, worry, or bitterness can do in our lives if we don’t let Him renew & rebuild our lives daily! Thanks for your insightful message. I appreciate every hand picked word you carefully chose in writing this article! Great job friend. Karen, thank you so much for your encouraging words. I agree that renewal and rebuilding is a daily process as God transforms our hearts. I do appreciate your support. Thanks, Jeannie! Good analogies for how God works in our lives when we give Him full access. The Master Builder won’t settle for covering up damaged goods. He makes them new! You’re right, Glenda. God promises to keep working in our hearts. Thank you.